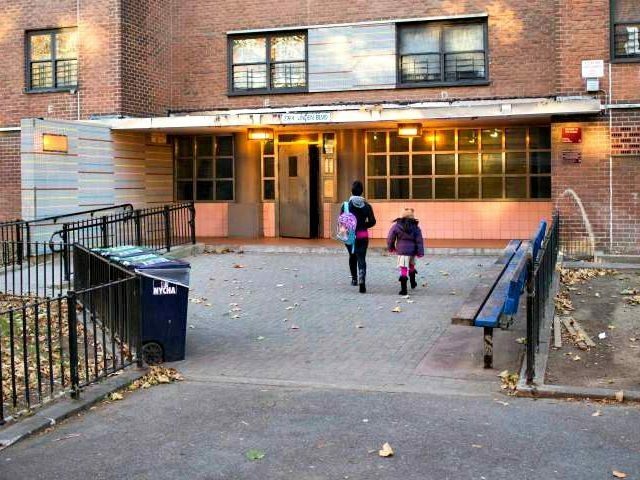 Roughly 1.1 million families live in public housing in the United States, but the report states that over 25, 000 “over income families” abuse the system by their presence, according to The Washington Post. Some egregious examples include one four-member family in New York City making almost $500,000 a year and paying $1,574 a month for a three-bedroom apartment, an Oxford, Nebraska individual worth $1.6 million paying $300 for a one-bedroom apartment, and a five-member family in Los Angeles that has remained in public housing since 1974 despite making over $200,000 last year while shelling out just under $1,100 for their monthly rental of a four-bedroom apartment. Meanwhile, over 300,000 families languish on waiting lists for public housing. The report, which focused on 2014-15, was requested by Rep. Phil Roe (R-Tenn.) HUD, whose limits for qualifying for public housing are set at 80% of the median income for the surrounding area for low-income and 50% for very-low income, protested the audit of its system, stating that throwing over-income tenants out of public housing would “negatively affect their employment and destabilize properties,” and asserting that the problem only represented 2.6% of tenants nationwide. The watchdog report agreed with that point, but pointed out that because of HUD’s recalcitrance in confronting the problem, the number of over-income tenants will only worsen. The report asserted that 45% of the 25,226 over-income tenants made from $10,000-$70,000 more than HUD‘s standards. Roughly 1,200 of those tenants had surpassed the standards for at least nine years. HUD is only forced to consider a tenant’s income before they move in, not after that point. In 2004, HUD encouraged thousands of housing authorities run by state and local governments and given HUD funds to eject over-income tenants, but the 15 authorities examined by the report protested that moving those tenants out would perpetuate the poverty rampant in public housing. The report found that the most over-income tenants lived in New York, Puerto Rico, and Texas; Idaho, Wyoming, and Utah had the least.